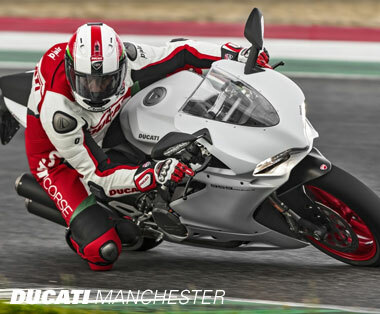 Unveiled at World Ducati Premiere 2016, the all new 959 Panigale offers the ultimate balance between road and track, offering pure performance, technology and effortless handling, combined with breathtaking Italian design. 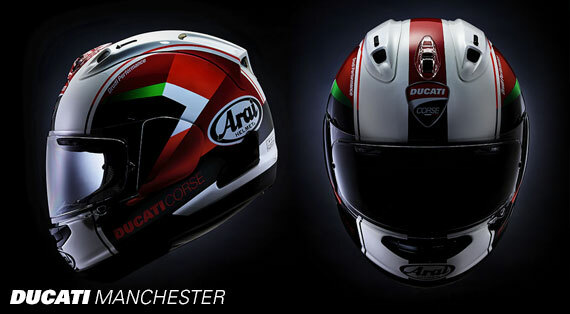 Contact Ducati Manchester for full details and offers on the new 959 Panigale. Fitted with a new, more powerful engine with slipper clutch, ready to unbridle a racing attitude. 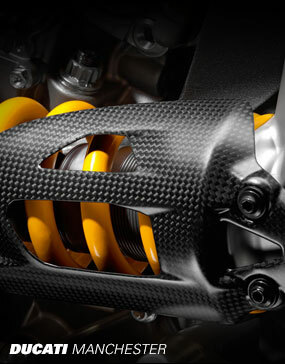 Built on an improved chassis integrating a monocoque frame, together with fully adjustable suspension. 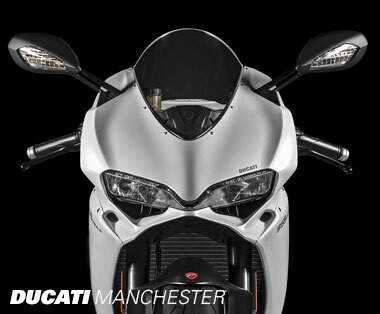 The ideal adrenaline-booster in the form of a Ducati superbike. 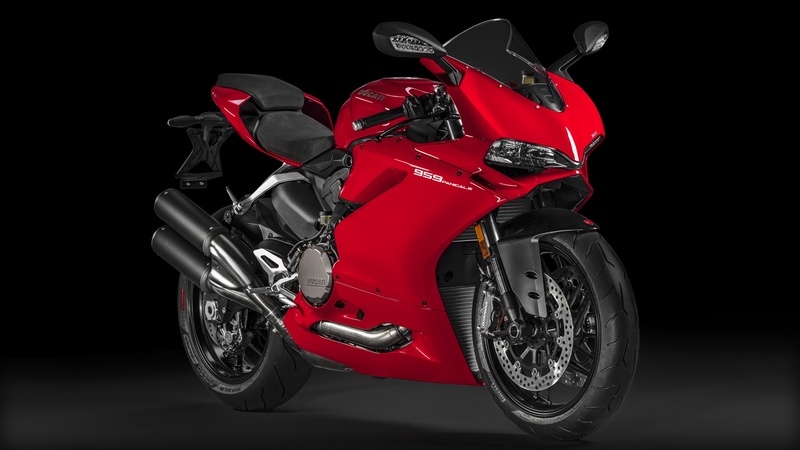 The electronics package on the 959 Panigale includes ABS, Ducati Traction Control (DTC), Ducati Quick Shift (DQS), Engine Brake Control (EBC) and Ride-by-Wire (RbW). 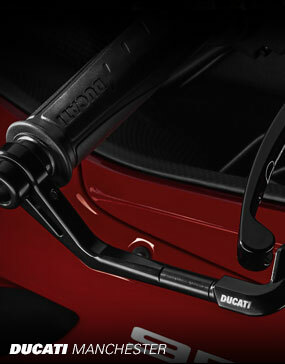 Thanks to Ducati Riding Mode technology, these systems are combined in different ways to give the bike three different souls. 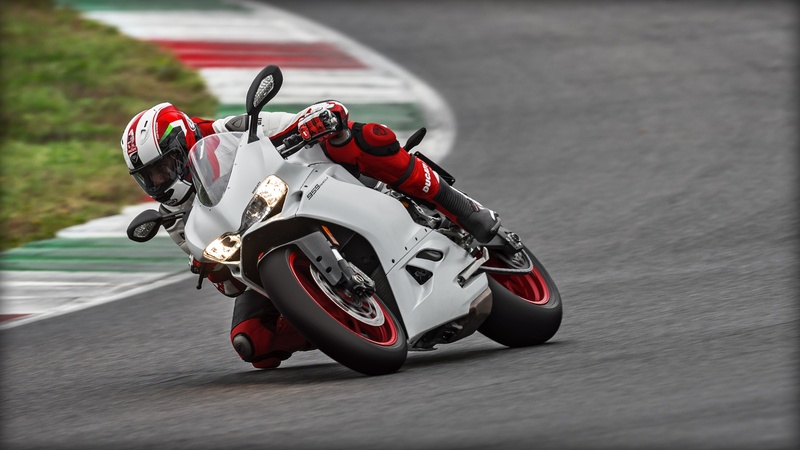 On the new 959 Panigale, the new features are not limited to the engine: the aesthetics and set-up have also been significantly improved with some important updates. 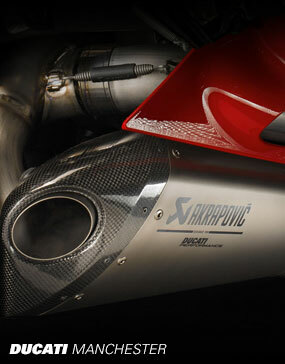 Every detail of the 959 Panigale is a tribute to the Ducati racing tradition. 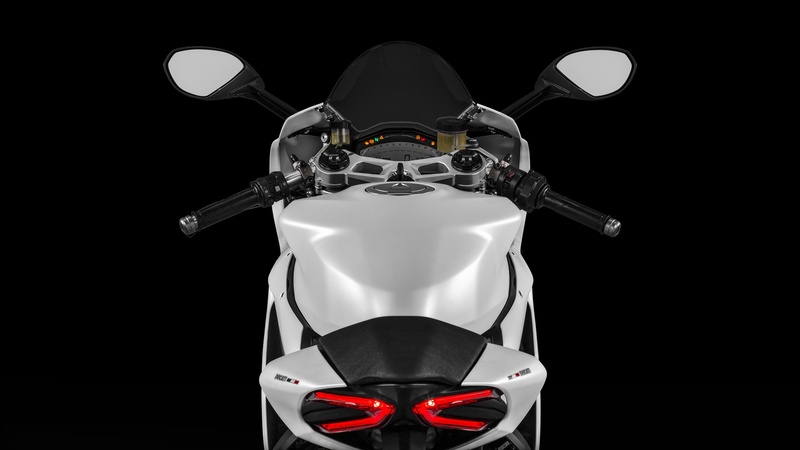 A wider and more protective screen that ensures greater aerodynamic penetration, new air vents on the fairing and new rear-view mirrors complete the front fairing. 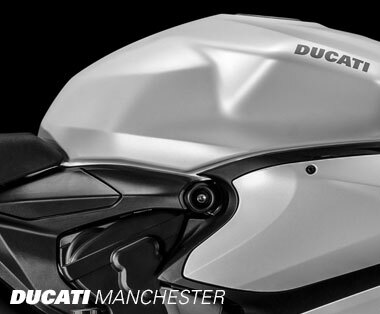 The new tail, divided into two sections, completes the design of the 959 Panigale, further enhanced by new details such as differently shaped footpegs, made from machined billet aluminium, for the perfect combination of beauty and functionality. 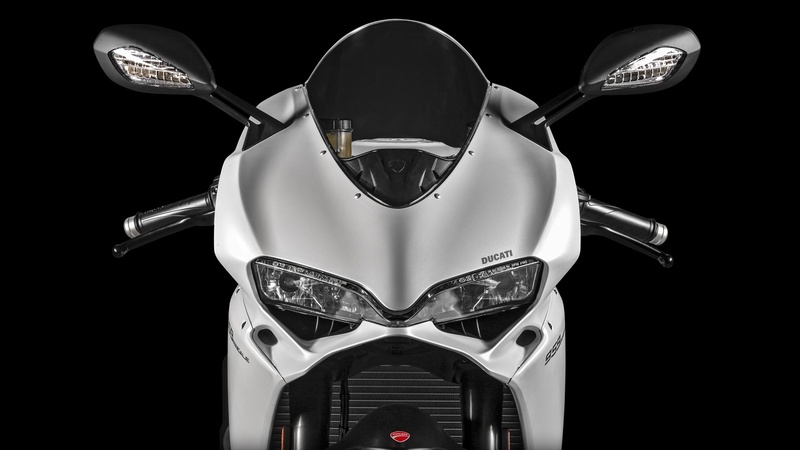 As with the bigger 1299 Panigale, the set-up of the 959 Panigale is entrusted to a compact monocoque structure, in fused aluminium to increase its resistance, using the Superquadro engine as a structural element. Performance, agility and control. 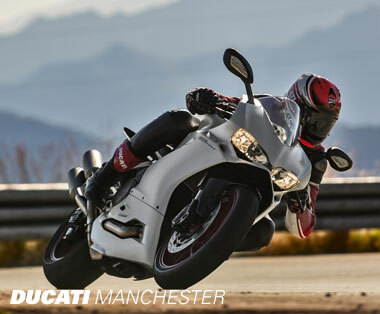 The 959 Panigale boasts all kinds of Ducati technology to offer the perfect balance between track performance and road control and safety. 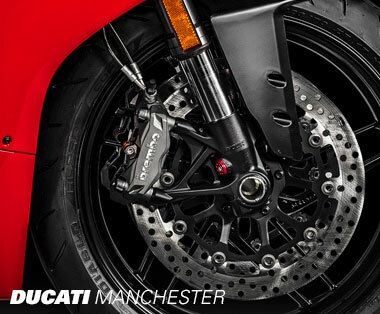 The 959 Panigale is equipped with a front braking system composed of two Brembo radially mounted monobloc M4.32 callipers, activated by a radial brake pump. The discs are 320 mm in diameter. At the rear is a single 245 mm disc. 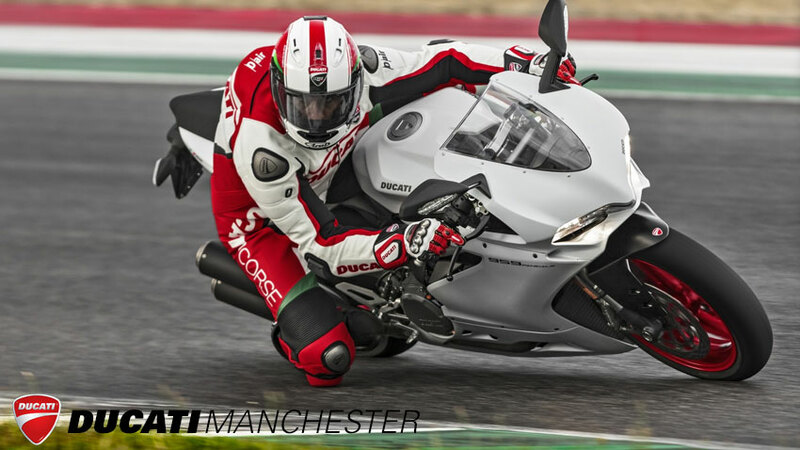 Pirelli Diablo Rosso Corsa tyres, designed to give high performance on both the road and the track, are the perfect choice for the 959 Panigale, able to ensure optimum grip when the bike is leaning or exiting curves. 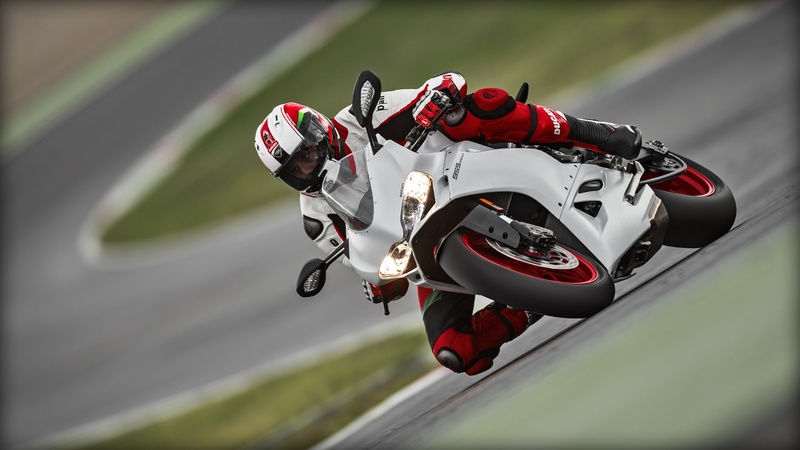 The 959 Panigale is equipped, as standard, with the Bosch 9MP ABS system with integrated pressure sensor. 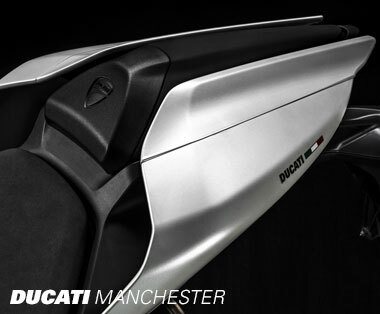 the three-level system ensures reduced stopping distances and greater stability in any riding condition. While level 1 of the system adjusts ABS intervention to sports performance and does not involve activation of the rear anti-wheeling mechanism, level 2 offers the same type of intervention but also activates the anti-wheeling system. Lastly, level 3 corresponds to the maximum degree of intervention, ensuring maximum stability while braking and rear wheelie control. 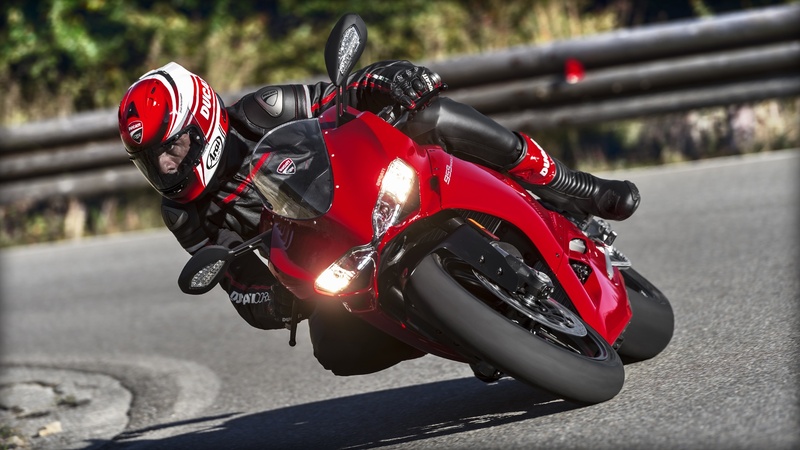 The DQS electronic gearbox on the 959 Panigale allows for almost instantaneous gear shifting. The ECU immediately notes the gear and throttle opening angle and intervenes by cutting both ignition and injection for a period of time in the region of thousandths of a second. Traction is interrupted electronically, allowing for rapid shifting without intervening on the clutch or throttle, in perfect racing style. 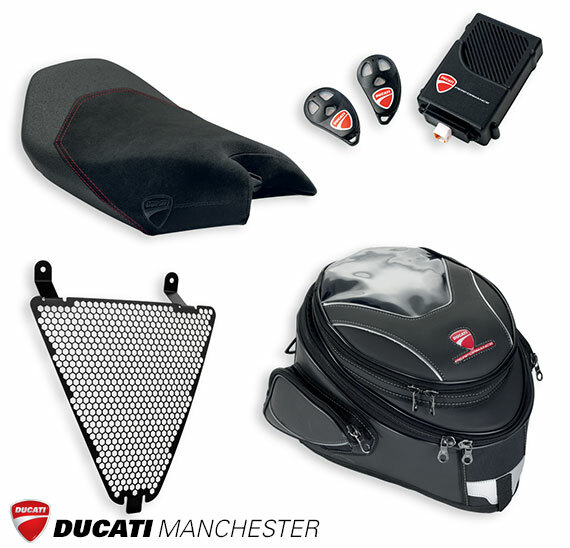 The DTC system on the 959 Panigale harnesses the software logic used by Ducati Corse in the MotoGP and Superbike World Championships and allows you to choose between eight profiles, developed to respond to any environmental condition. 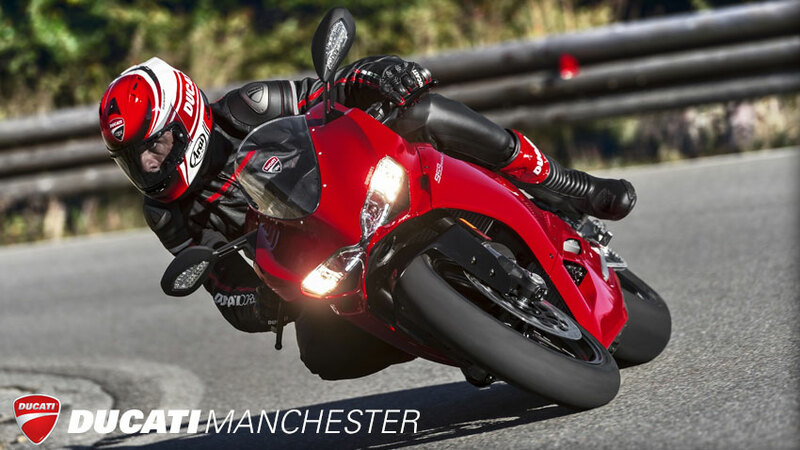 While level 8 helps you acquire safety, turning itself on at the slightest sign of wheelspin with a high level of interaction, level 1, reserved for more expert riders, is characterised by greater tolerance and, therefore, by minimum intervention. The Riding Modes system is programmed to instantly modify the character of the bike, intervening with regard to ABS, DTC and EBC as well as the Power Modes, or rather on the various power supply curves. 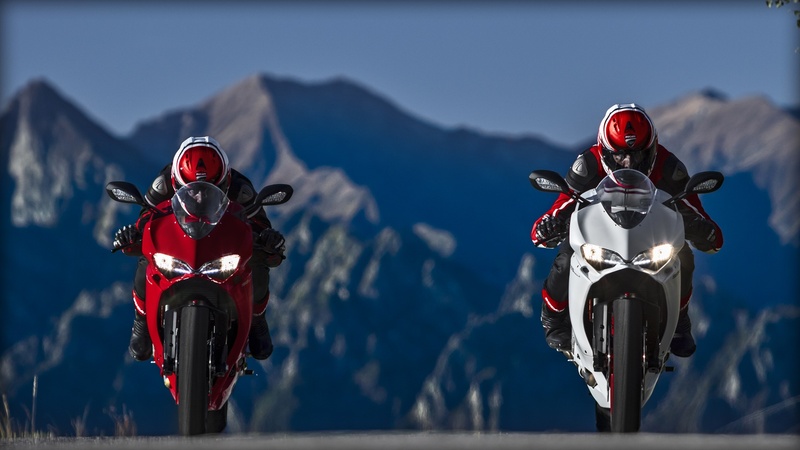 The three dedicated Riding Modes for the 959 Panigale are Race, Sport and Wet. The 959 Panigale is equipped with compact instrumentation with an LCD display that allows you to customise and save ABS, EBC, DTC, DQS and Ride-by-Wire settings within each of the Riding Modes. In addition, the stopwatch function can display the last 30 laps completed, recording the lap number, maximum speed and maximum revs achieved during each lap. 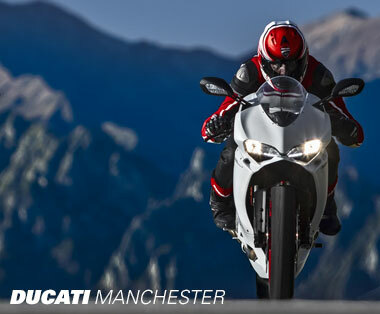 The 959 Panigale features an advanced six-speed transmission with large diameter gears for superior strength. Perfectly controlling the power put to the ground is a hydraulically actuated multi-plate wet clutch, which has back-torque limiting "slipper" functionality to prevent hopping of the rear wheel during aggressive downshifts. With smooth engagement, superb feel, and light effort at the lever, the 959's clutch helps keep the bike in perfect balance on the street and the track. 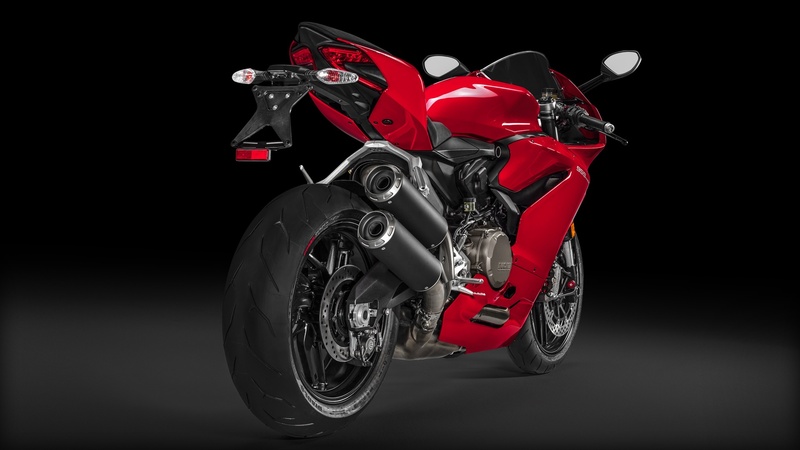 The Superquadro is the most potent twin-cylinder engine on the planet, and in the 959 Panigale it produces a fantastic 157 [email protected],500 rpm, and 107.4 N-m of torque @9,000 rpm. And thanks to the sweet nature of the L-twin, and Riding Mode options, the rider is able to easily modulate this tremendous power and tailor it to his riding style and road conditions. 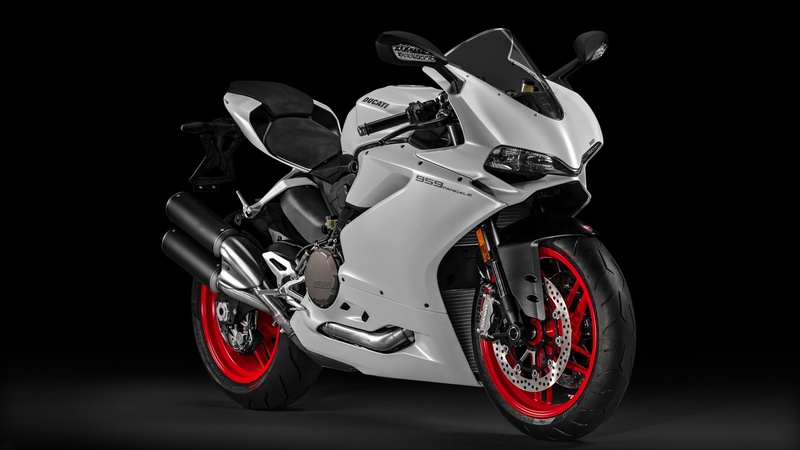 The 959 Panigale's extremely oversquare bore/stroke ratio of 1.64:1 (100 mm bore/60.8 mm stroke) allows for reliably high rpm thanks to the ultra-short stroke of the crankshaft, while the large surface of the pistons allows for large valve diameters (41.8mm intake, 34mm exhaust) to let the engine breathe freely. 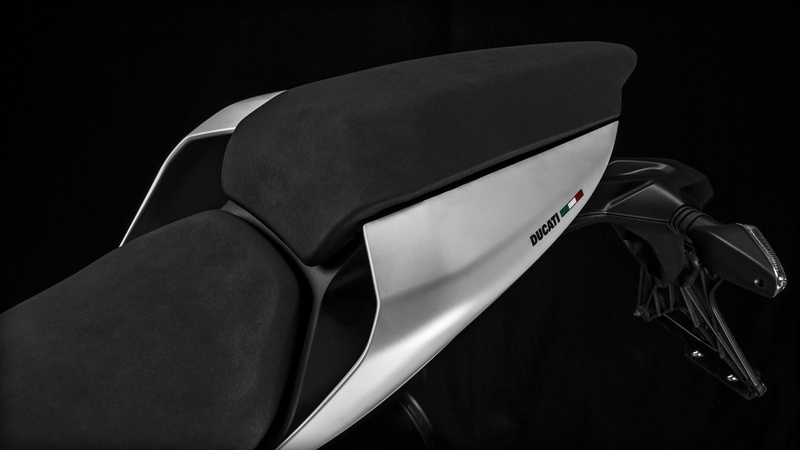 The 959 Panigale's chassis follows the innovative Monoscocca concept: different components have been integrated to give shape to a single compact and lightweight element. 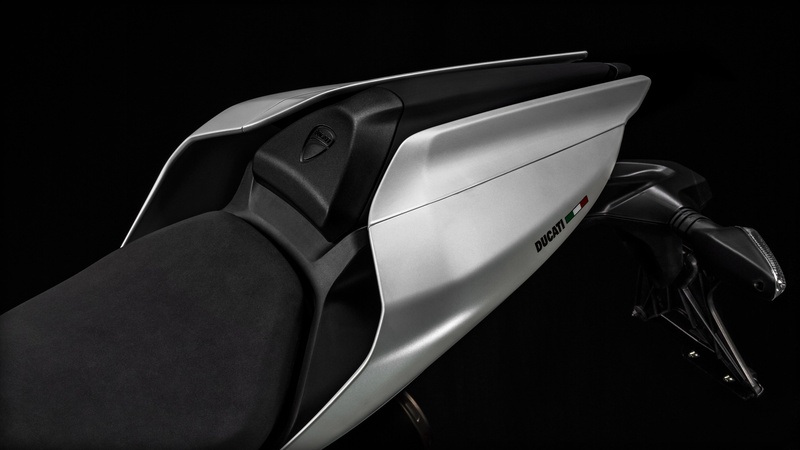 This monocoque structure in cast aluminium for increased strength uses the Superquadro engine as a structural element, forming the motorcycle's lightweight core. 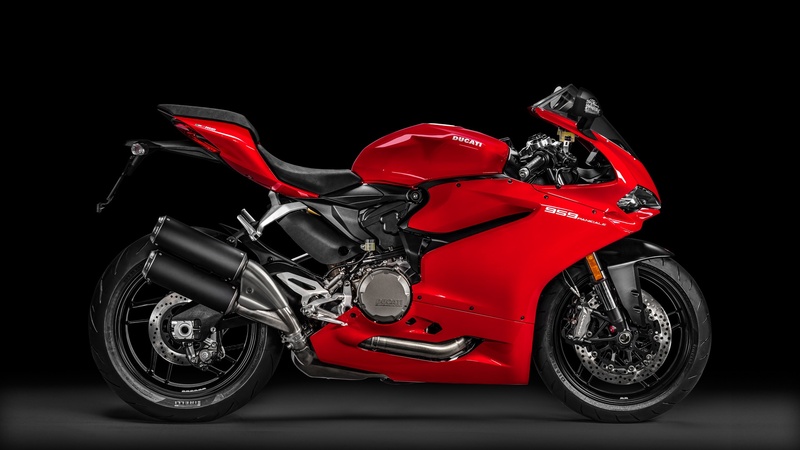 As on the 1299 Panigale, the 959 Panigale's fork legs are set at a distance between centres typical of racing bikes in the Superbike World Championship. Thanks to this detail, the brake discs have space to allow optimal cooling even during the hardest use. 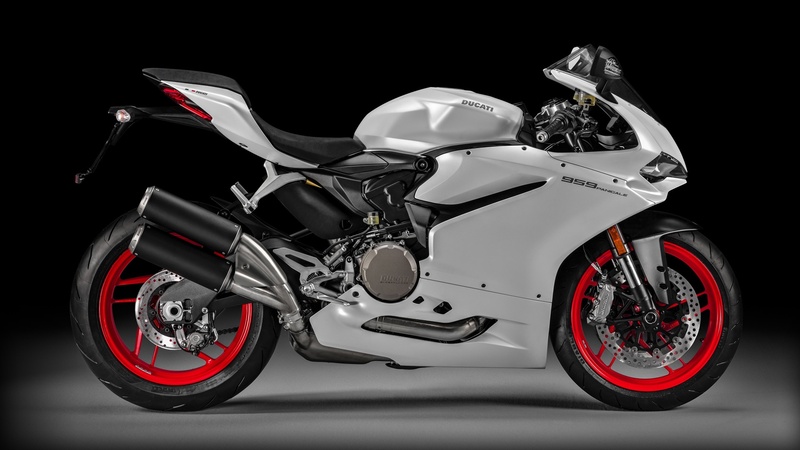 The 959 Panigale features a 43mm Showa Big Piston Fork, which provides damping under lower-pressure conditions as compared to a traditional fork. This gives optimal front-end feeling to enter corners with the utmost precision, with high resistance to diving when the brakes are applied. The rear suspension consists of a fully adjustable Sachs rear monoshock, laterally mounted for ease of adjustment access and connected via progressive linkage for the best rear suspension response under road and track conditions. 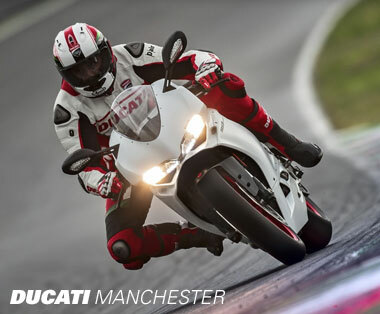 The 959 Panigale is equipped with staggeringly powerful - yet not overwhelming - Brembo Monobloc M4.32 front brakes operating on 320 mm front rotors, which come standard with the latest-generation Bosch 9MP Antilock Braking System. This enables the shortest possible braking distances even in wet or dirty road conditions, while also controlling rear wheel lift to provide maximum braking stability. Specifically calibrated for sport riding, the system features 3 intervention levels, each associated with a Riding Mode. In Race Mode, the system operates only on the front discs to allow advanced race-braking techniques on the track. 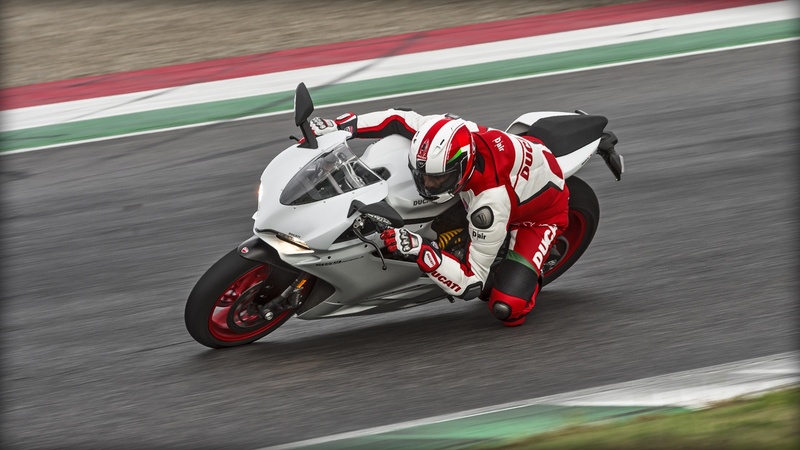 The 959 Panigale features a weight distribution equivalent to 52% at the front and 48% at the rear without the rider or fuel. Fully fueled and with the rider, this becomes a perfect 50:50 balance to guarantee absolute stability and handling. To achieve this distribution, placement of the engine, exhaust, and rider were carefully evaluated and determined. 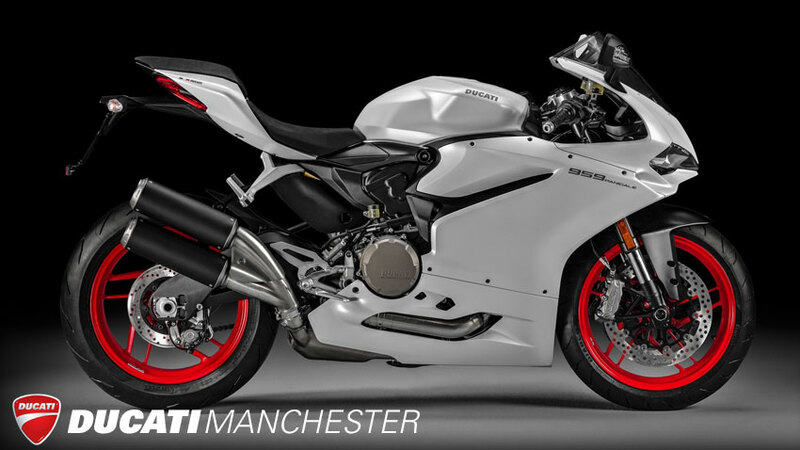 The 959 Panigale features a new, lateral "cannon" style exhaust with twin aluminium silencers, which complies fully with Euro 4 regulations. 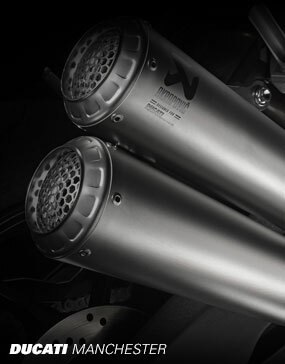 A stainless steel pre-silencer sits under the engine, keeping the weight of the catalyzer close to the bike's central axis for optimal handling. 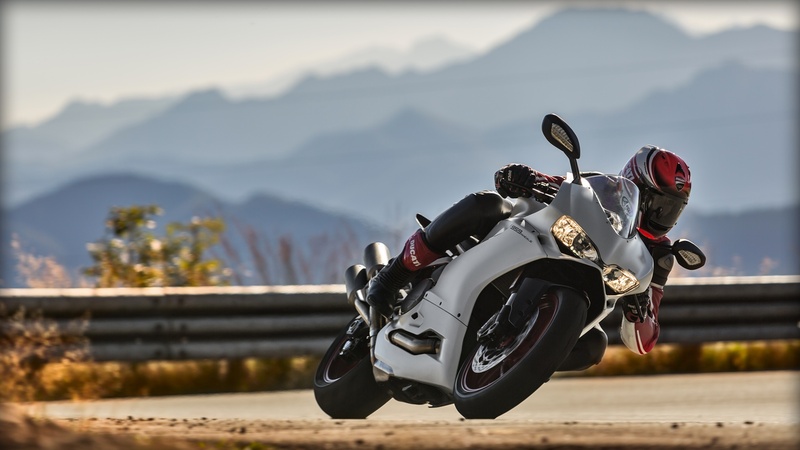 The 959 Panigale has been ergonomically designed for a perfect integration between rider and motorcycle. A comfortable seat, narrow width, grippy machined footpegs, and carefully placed handlebar location provide the perfect position from which to command the bike with confidence and precise control, on the track or the street. 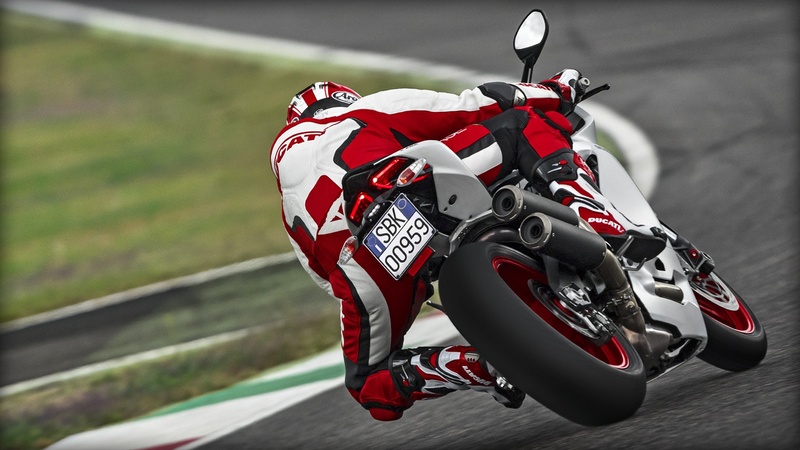 The Bosch 9MP ABS standard on the 959 Panigale is a latest-generation system with two channels that performs combined braking with control of rear wheel lifting to guarantee not only shorter braking distances, but also the greatest stability during braking. Specifically intended for sport use, the 9MP ABS offers three levels of operation, each associated with a Riding Mode; in the Race mode, the system works only on front discs to allow advanced track braking techniques for expert riders. 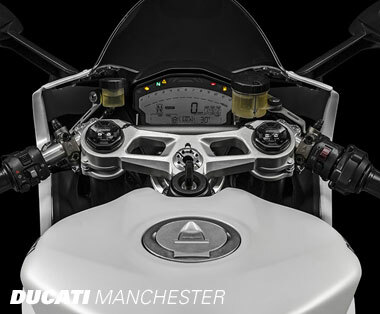 The instrument panel on the 959 Panigale is an advanced multifunctional LCD unit, with layout derived from Ducati Corse's experience in World Superbike and MotoGP. Showing a vast array of information in a format highly visible even when tucked behind the windscreen at maximum velocity, the dash also changes its display according to the riding mode selected - ensuring that the rider always has the most important information for each use, available at a glance. The available Riding Modes are the result of the combination of highly advanced dedicated technologies. 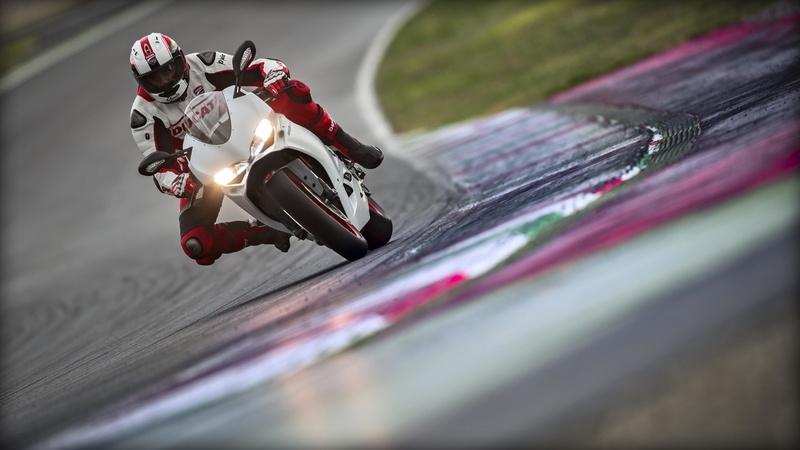 The rider atop the 959 Panigale can choose among three different pre-set Modes - Race, Sport, and Wet - to adapt to his riding style or the riding conditions. The Riding Modes instantly modify the power delivered by the engine (Power Mode), ABS activation level, DTC, DQS and EBC, as well as the graphics on the instrument panel. Additionally, each Riding Mode is fully customisable in all parameters, for a truly personalised setting. 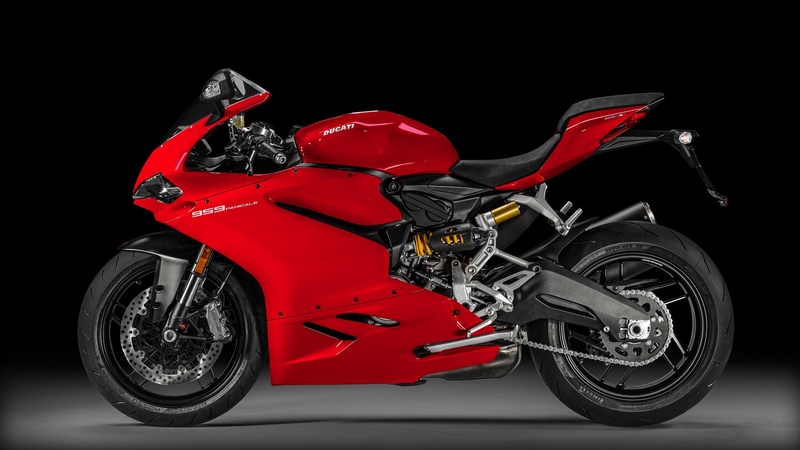 The 959 Panigale features Pirelli Diablo Rosso Corsa tyres, in 120/70 (front) and 180/60 (rear) sizes. 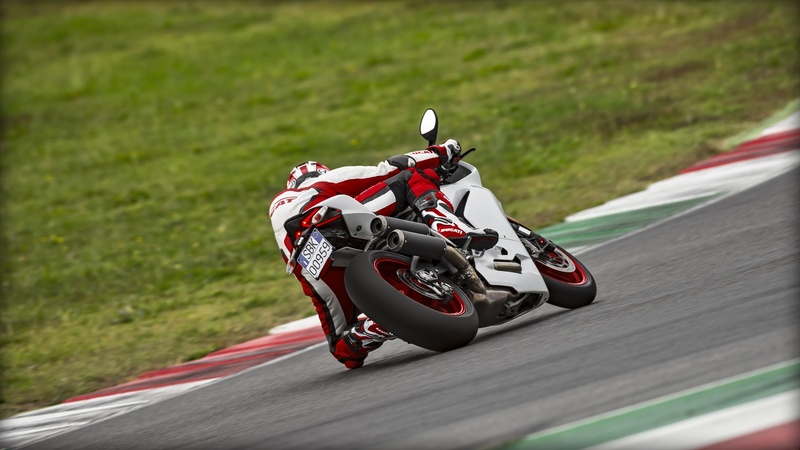 The Diablo Rosso Corsa is a reference in the segment of hypersport tyres, developed directly from World Superbike technologies and featuring an optimised contact patch as well as advanced 3-compound construction to ensure quick warm-up, long life, and above all maximum traction available in every circumstance. 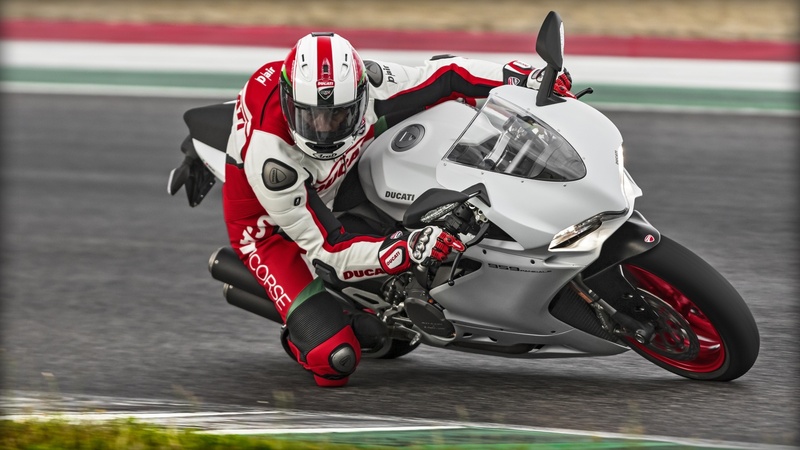 The DDA+ (an option on the 959 Panigale, 1299 Panigale, and 1299 Panigale S; standard on the Panigale R) is the latest generation of the Ducati Data Analyzer, which integrates a GPS signal to create a "virtual finish line". The system automatically detects, without any intervention by the rider, the conclusion of the lap and stops the chronometric time. Integration with the GPS signal also provides visualisation on the circuit map of the trajectories ridden and the main parameters of the vehicle: throttle opening, speed, rpm, gear engaged, engine temperature, and DTC activation. 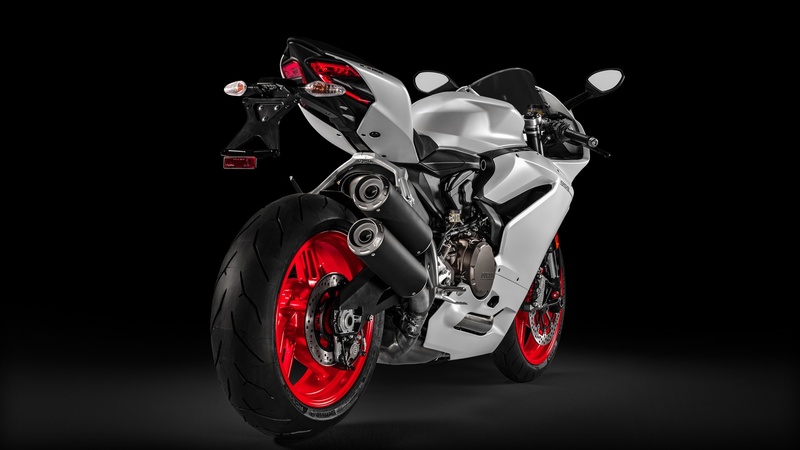 The 959 Panigale uses black 10-spoke wheels, 3.5 inches wide in the front and 5.5 inches wide in the rear, which due to their light weight allow rapid changes in direction and excellent performance both during acceleration and braking. 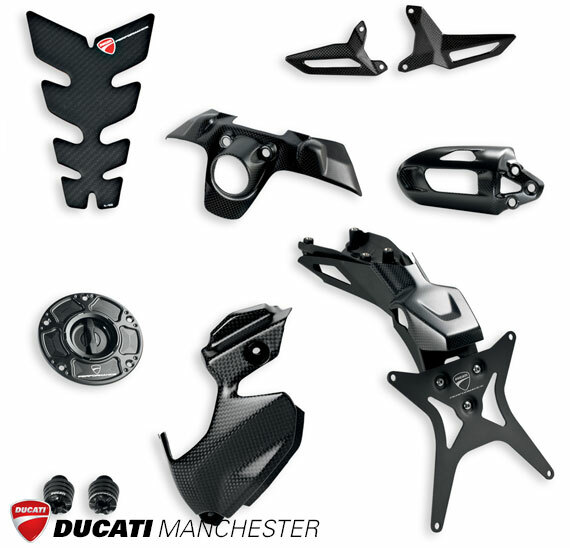 For 2016 Ducati have a selection of stylish and functional parts and accessories made specifically for the 959 Panigale. 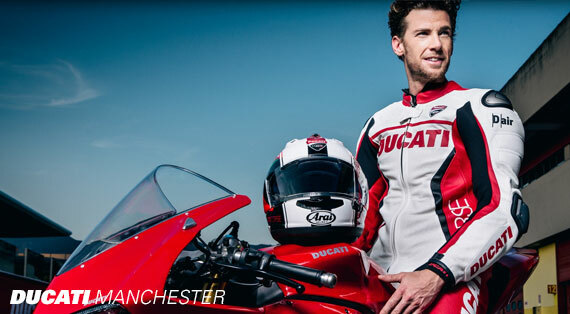 Get in touch with us today to arrange a test ride, enquire about financing, or learn more about the new 959 Panigale.